Where is the entrance in the Den of the Fallen dungeon in Diablo 3? 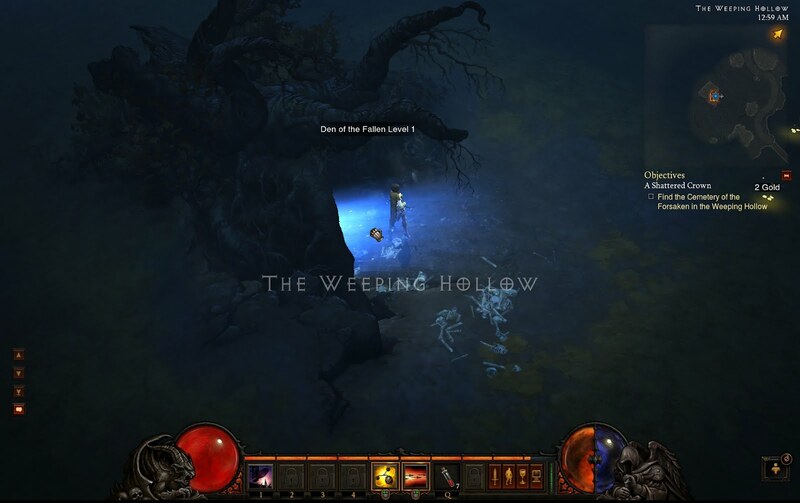 You can find it's location in the Weeping Hollow area, north of New Tristram. 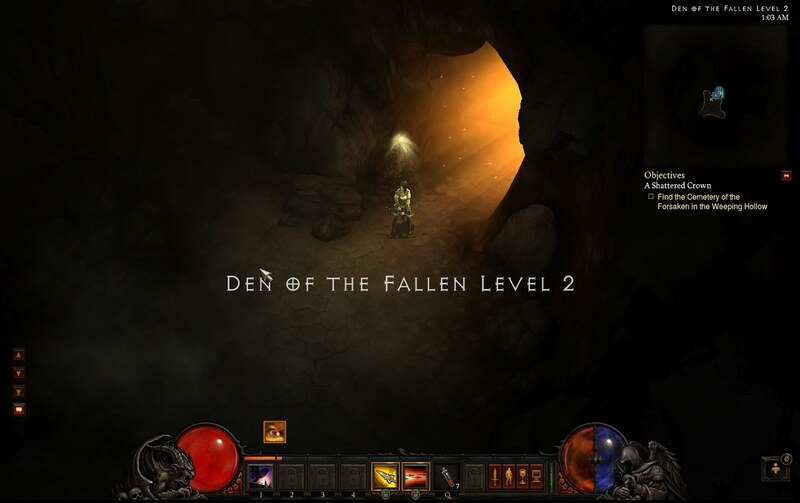 The thing you must know is that Den of the Fallen is a rare Dungeon in Diablo 3 that spawns totally random. On normal difficulty this is no big deal, but on the higher difficulties (specially Inferno) I bet this rare area will be a good farming spot. Den of the Fallen has two levels, the first one bigger than the second. In Den of the Fallen level 2, you'll find a rare monster named Wrath, Unspeakable Terror that has a chance to drop good loot. In level 2 you will also find a rare chest and an obelisk that will teleport you back at the Den of the Fallen entrance.